As Valentines Day approaches my inbox is positively buckling under emails flogging anything vaguely pink, red or heart shaped in the name of romance. Here’s the thing though, I’m not exactly all a dither over the prospect of glitzy pink tat – so here’s my very own, tastefully (and lustfully) curated wish list of pink, red and heart shaped things. I fully intend to reclaim the holiday in the name of gorgeous accessories and will be lavishly gifting myself – because there’s no love like the love a lady shares with her wardrobe! These red lace Dolce & Gabbana boots are the very definition of LUST. OK so I know the whole LOVE keychain, ring, etc. 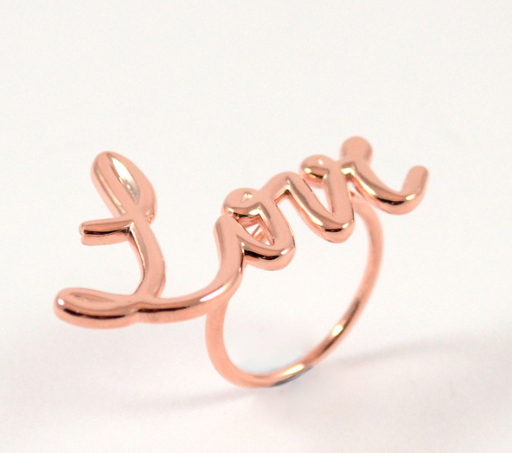 thing exploded post the SATC movie but this beauty from Wonderluk is actually printed via a 3D printer. And it’s rose gold. Bloody amazing basically and I want want want it! 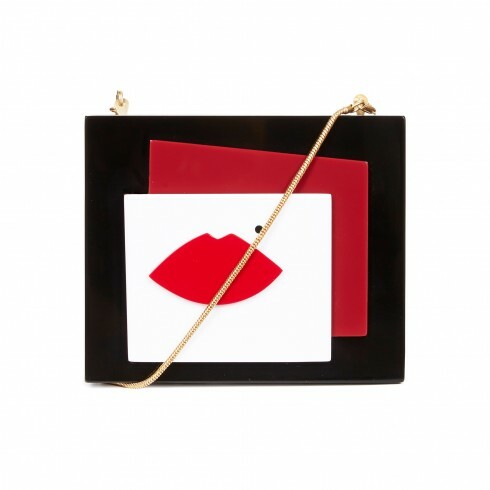 And this Lulu Guinness clutch – because red lips work beautifully for more than just your pout.